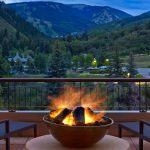 If you are headed to Vail, Colorado, and looking for luxury accommodations that will offer immediate access to Vail Village right out the front door, check out The Sebastian – Vail. 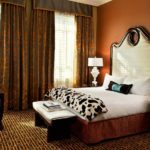 It’s a Timbers Resorts property and the town’s newest boutique hotel. 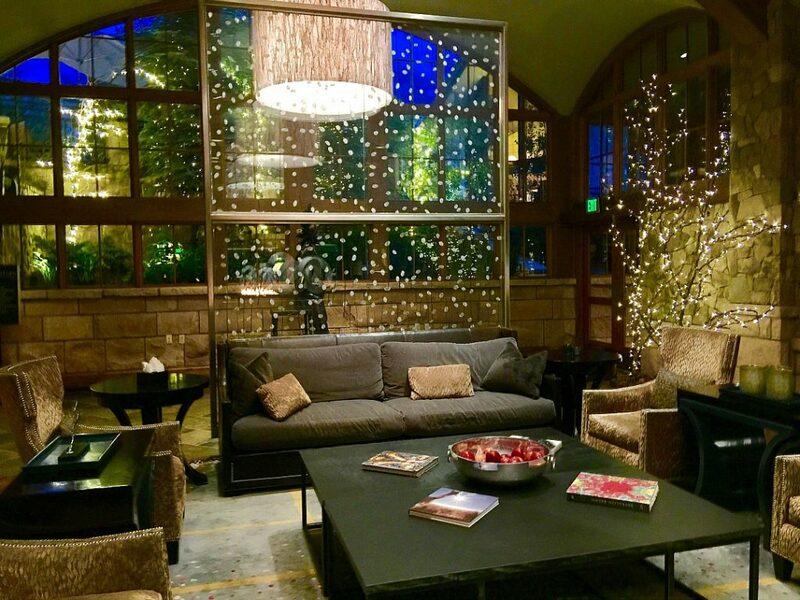 The Sebastian makes quite a first impression as soon as you pull up to the entrance and see the sparkling lights on the trees flanking the front door. I hesitated about visiting Vail in the Summer because I knew I’d forfeit the festive holiday lights in the winter, which I love. So this was a surprise. Kind of the best of both worlds–summertime activities, with some of that sparkly winter ambiance. 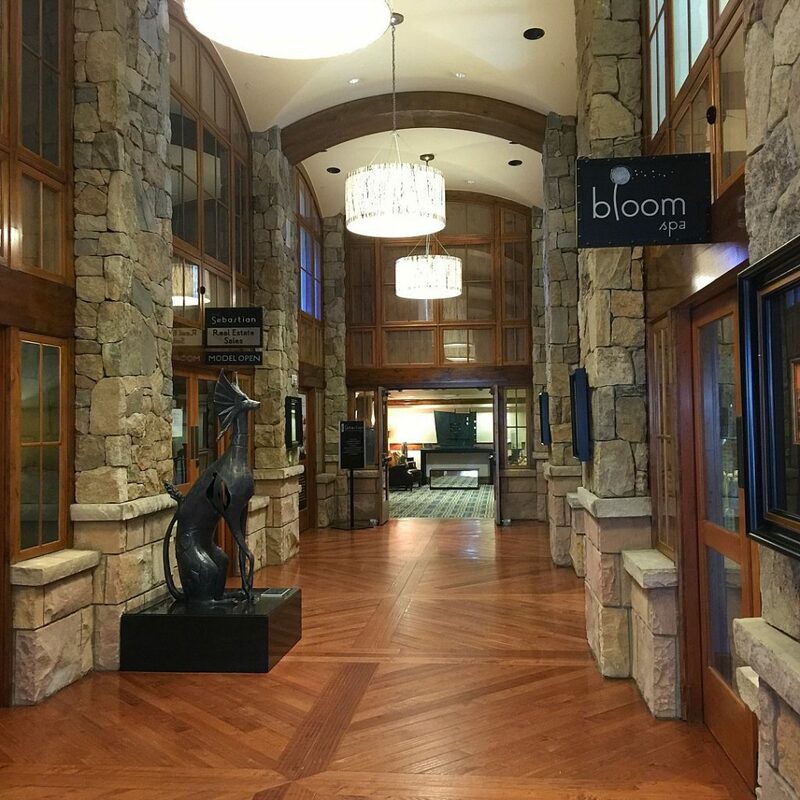 The lobby is beautiful and artful. 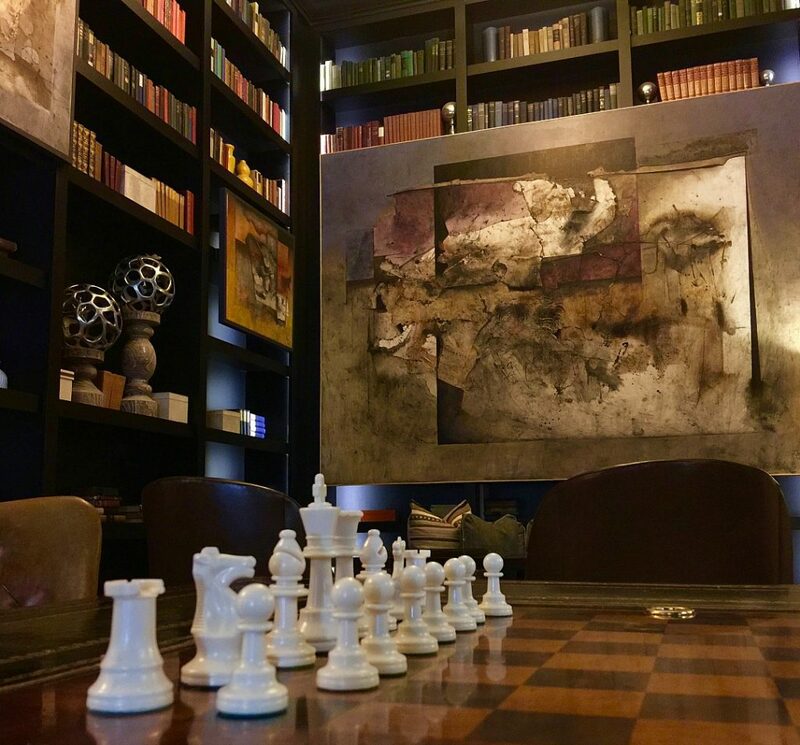 The hotel’s owners are big art lovers and you will find part of their personal art collection throughout the hotel. 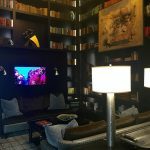 The lobby is full of cozy sofas and wing back chairs for hanging out. 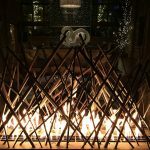 A Game of Thrones-like fireplace casts a glow along with indoor twinkle lights. I love how inviting the space is, with a chess game set up and a complimentary coffee station wth newspapers each morning in the Library. It’s all connected, open and spacious. 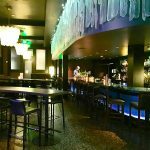 The bar is located just off the lobby and is famous for their fresh Mojito Bar and the largest selection of tequila in Vail. There are two cocktails I like, Margaritas and Mojitos. I had my Mojito made with tequila (I do this a lot because I prefer the taste to rum). 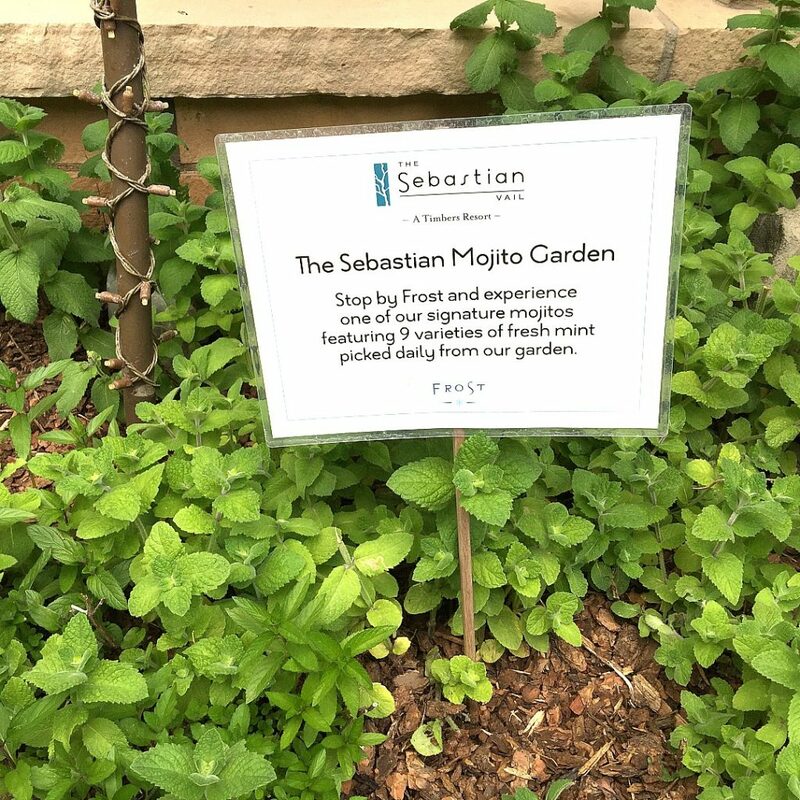 How cool is it that they have a Mojito Garden where they grow several types of mint? You can customize your Mojito with Colorado peaches fresh from the Farmers’ Market, blackberries, watermelon, and other fruit. I chose blackberries and it was one of the best cocktails I’ve ever tasted. I told the bartender what I liked and she understood exactly what I wanted and crafted my drink to perfection. 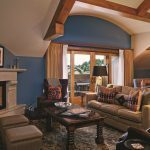 The property has a bit of a lodge vibe, but it’s more sophisticated. 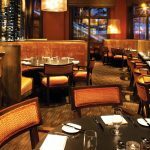 Wood beams and stone bricks say Lodge (which is appropriate and great for Vail), but with all the artwork and modern touches you get a more elegant and stylish ambiance. The pool was my favorite place in the hotel. It’s popular, so it can get a little busy, but for me it was never too crowded to enjoy and swim freely. 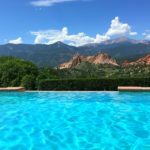 The setting is friendly, with food and beverage service, plenty of plush towels, community sunscreen, comfortable loungers, and four hot tubs. It was relaxing and fun to interact with other guests enjoying their holiday. 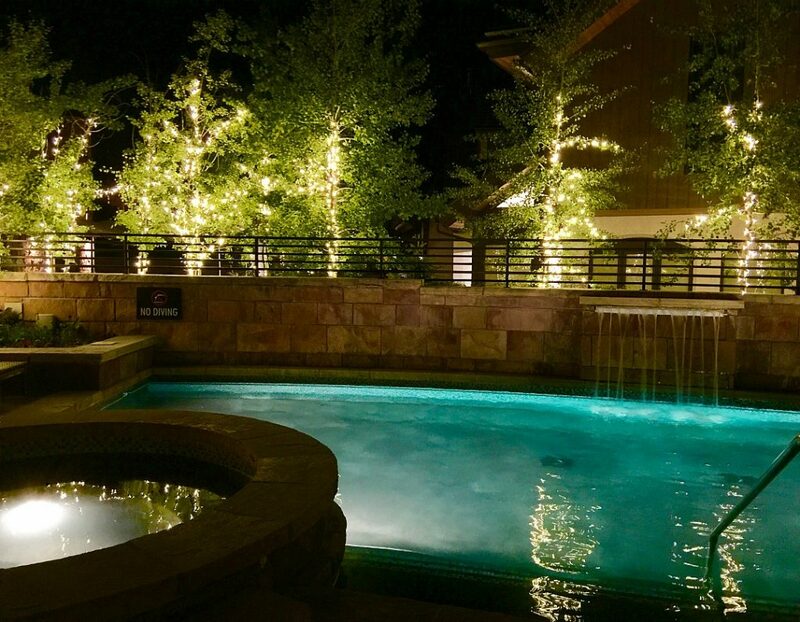 I liked the pool even more at night, because of the trees lit up with twinkle lights. They play chill-out music throughout the hotel which was particularly nice in the evenings by the pool. 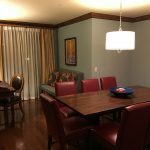 Rooms are offered in many different configurations. 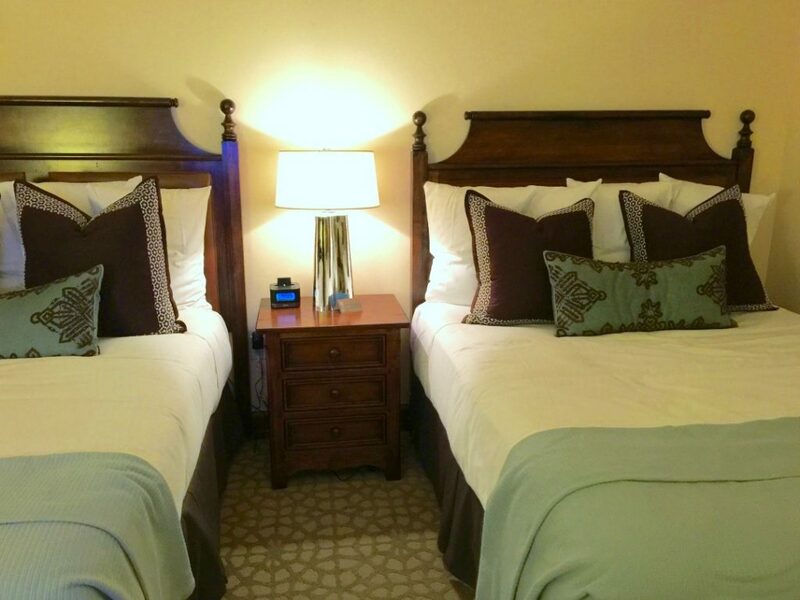 We had a residence room with two separate bedrooms, but you can also get more intimate guest rooms. 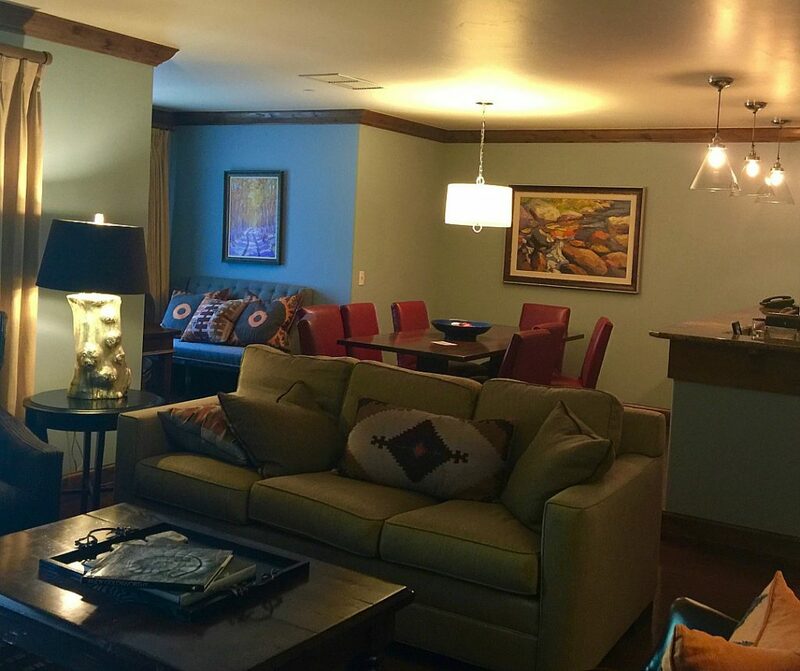 Our space would accommodate two small families or one large family or group. The room was huge. 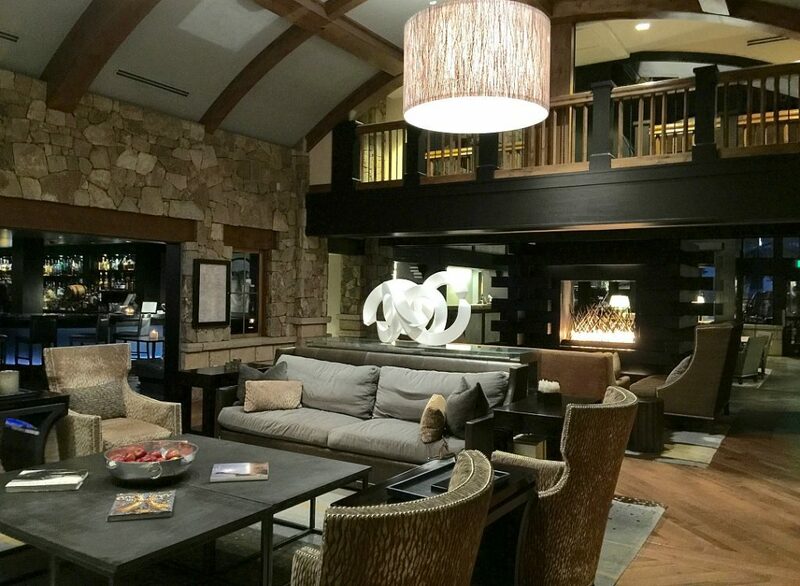 It was open concept with a kitchen, dining area, work space with a desk, and living room with fire place and balcony. 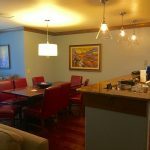 There is plenty of comfortable seating, a tv in each room, three full bathrooms and a washer/dryer which is handy when you are traveling with children. The kitchen is fully stocked with everything you need to prepare meals. 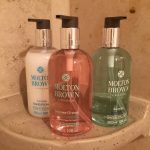 Grocery stores are nearby, and there is a complimentary hotel BMW service available if you don’t have your own vehicle and need to make a food run. 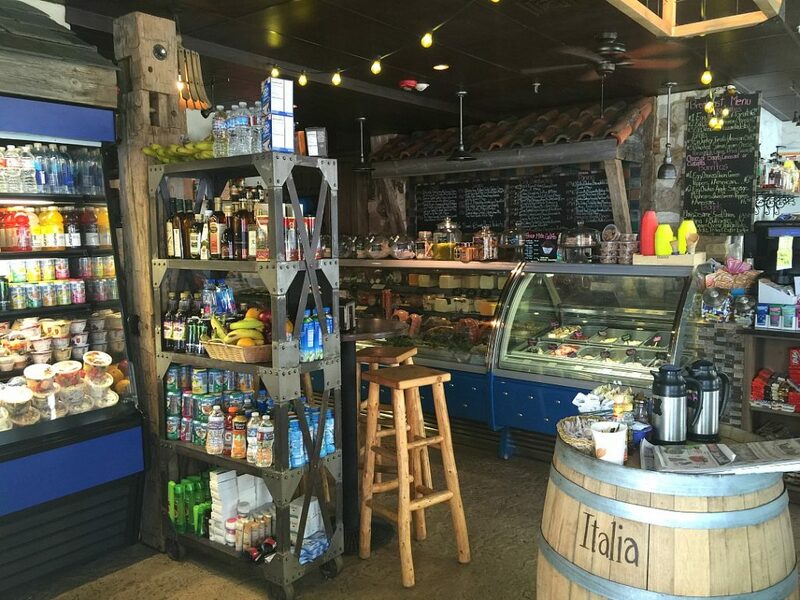 Also, next door to the hotel is an Italian Deli and liquor store, so you can get some supplies very close by. 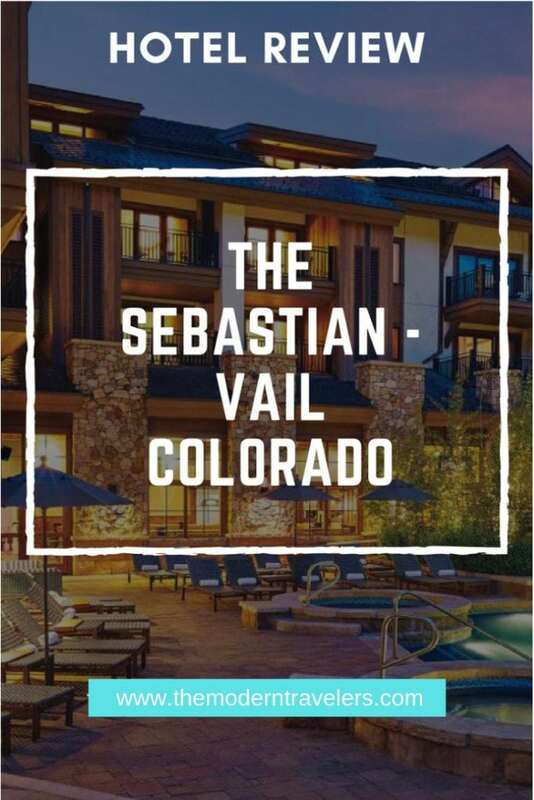 The Sebastian – Vail generously gives you entire packages of a locally roasted special Sebastian blend coffee to use in the coffee maker (and it’s fantastic coffee!) as well as espresso for the espresso machine, fresh fruit, and yummy complimentary snack mixes. 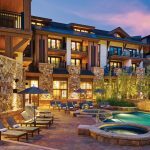 The Sebastian – Vail is an eco-minded hotel with a water bottle program and a refill station which saves thousands of water bottles per year from landfills. It’s convenient to refill your own water bottles whenever you want. 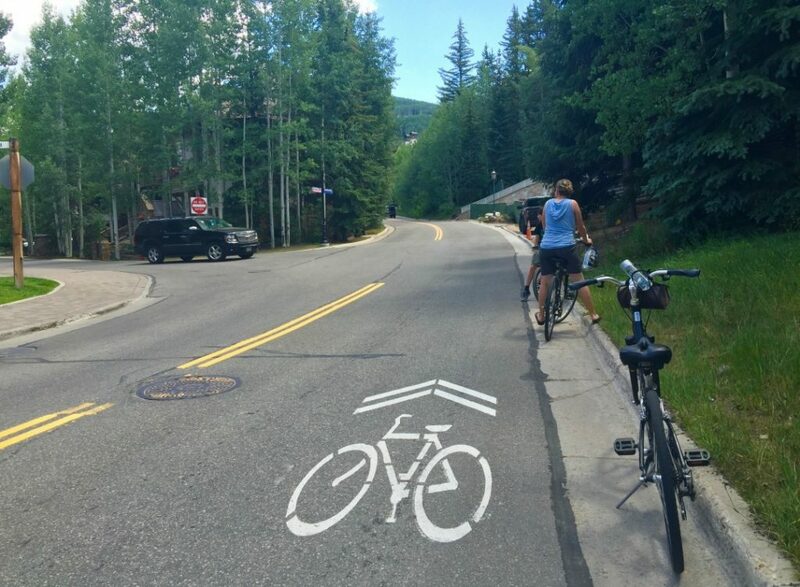 The most fun I had while in Vail was riding bikes around town. I never get over the thrill of exploring a new place on two wheels. Surprisingly, there are plenty of flat trails and it was easy cycling. For people that want more of a challenge, that is available too, as well as mountain biking. The Sebastian – Vail arranged via their Base Camp center (where they rent bikes and other equipment) for us to have bikes throughout our entire stay. It was such a luxury to be able o walk out the front door and grab them any time we wanted. 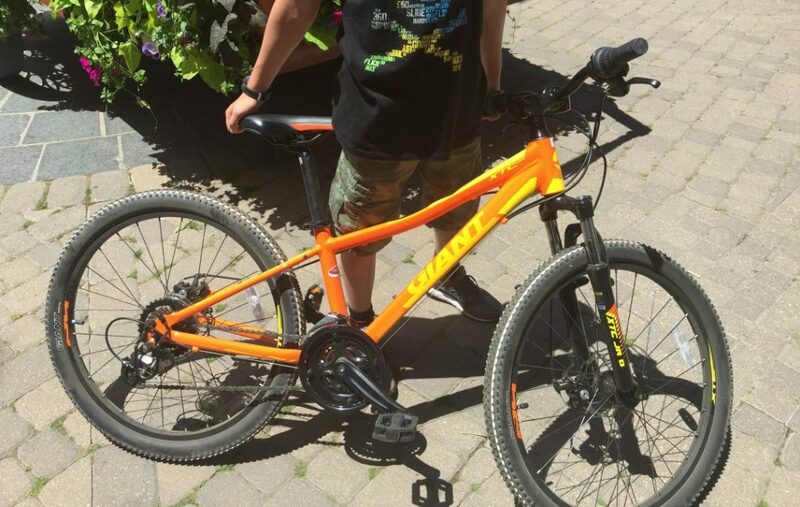 The bikes were clean and quality and super comfortable–I want a Liv bike now, I enjoyed mine so much. 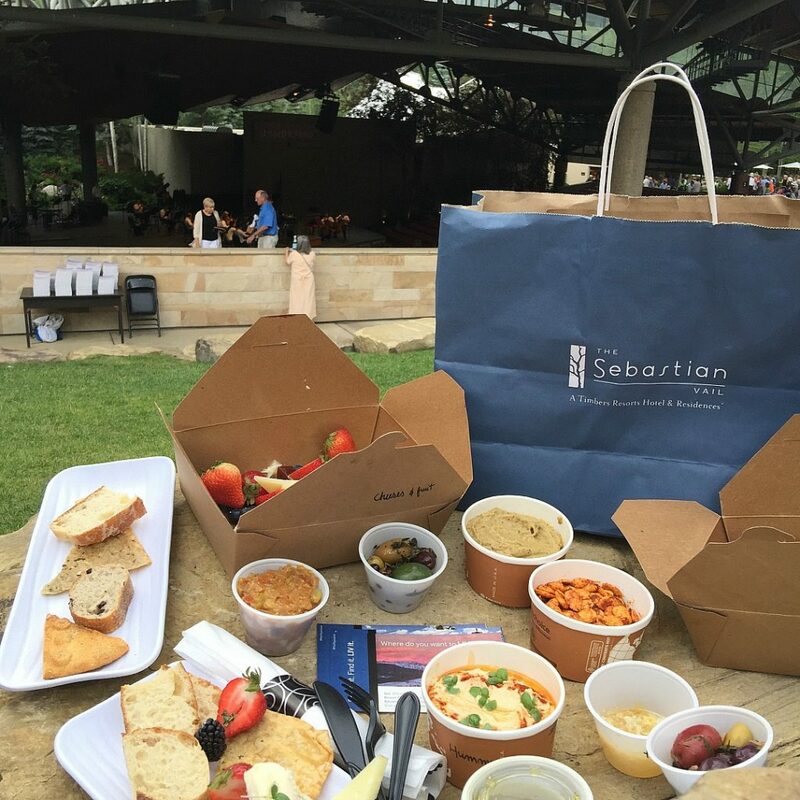 The Sebastian – Vail will prepare picnic baskets for you upon request. We went to a Bravo! Vail outdoor concert and they made a vegetarian picnic for us that included artisan bread, olives, honeycomb, fruit, veggies, hummus, almonds, and several kinds of cheese. 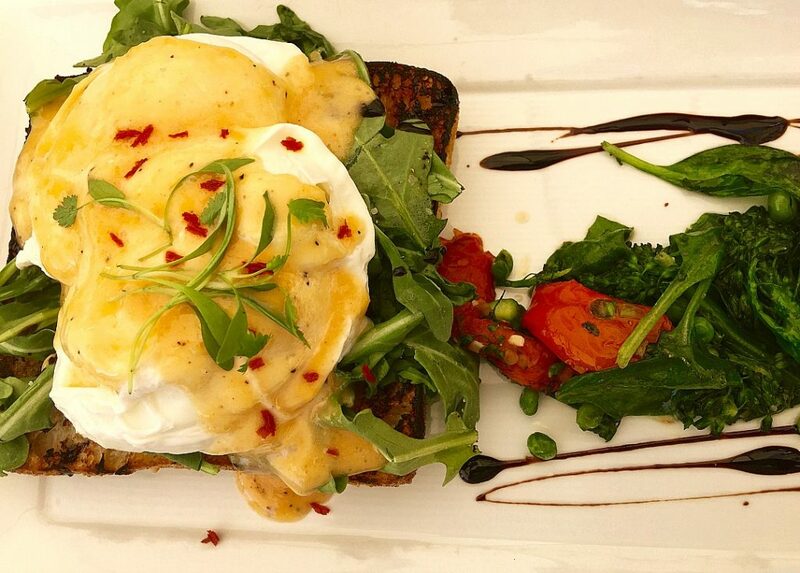 Breakfasts were also excellent at the hotel restaurant, Leonora. I’m not a breakfast person, so for me it was brunch, and I ordered savory stuff like Eggs Benedict and Sautéed Vegetables and they were delicious. They also offer a fresh Juice of the Day. We ate outside on the patio and it was delightful. My son raved about his pancakes and said they were some of the best he’d ever had. 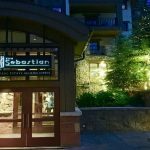 For proximity to shops, restaurants and other things of interest, The Sebastian – Vail, located in the heart of Vail Village is an excellent choice. Here are a few things that stood out to me. Excellent, available staff. We saw management daily because they are out interacting with guests. 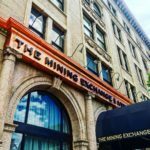 Every person we encountered was super attentive and couldn’t have been nicer or more welcoming. 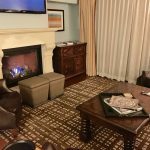 I found Vail in general to be extremely friendly and down to earth. 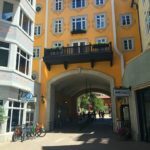 Walking distance to tons of restaurants, cafes, shops, etc. 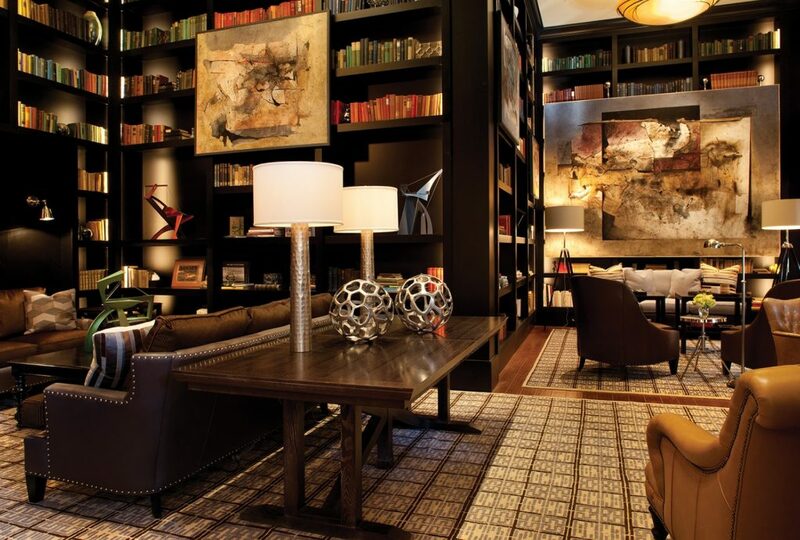 Ambiance–the twinkle lights and huge art collection create a charming, cozy atmosphere. Bikes! 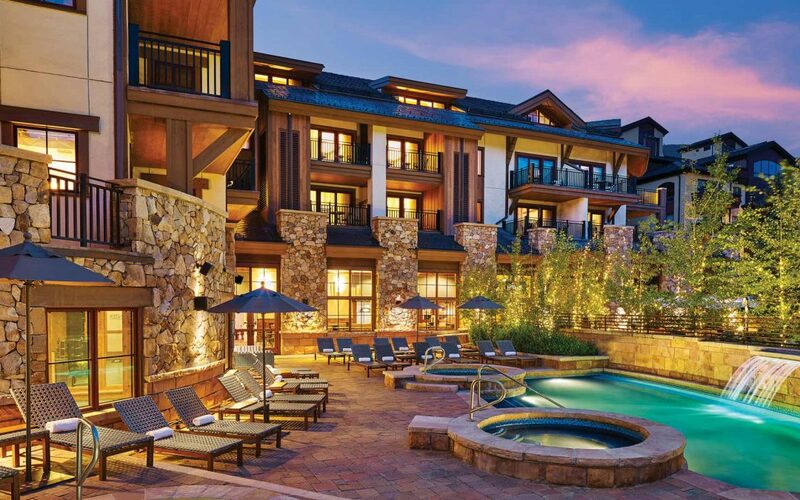 Huge luxury to have daily easy access to bicycles through The Sebastian – Vail Base Camp. Beautiful pool large enough for swimming laps. Mojitos! 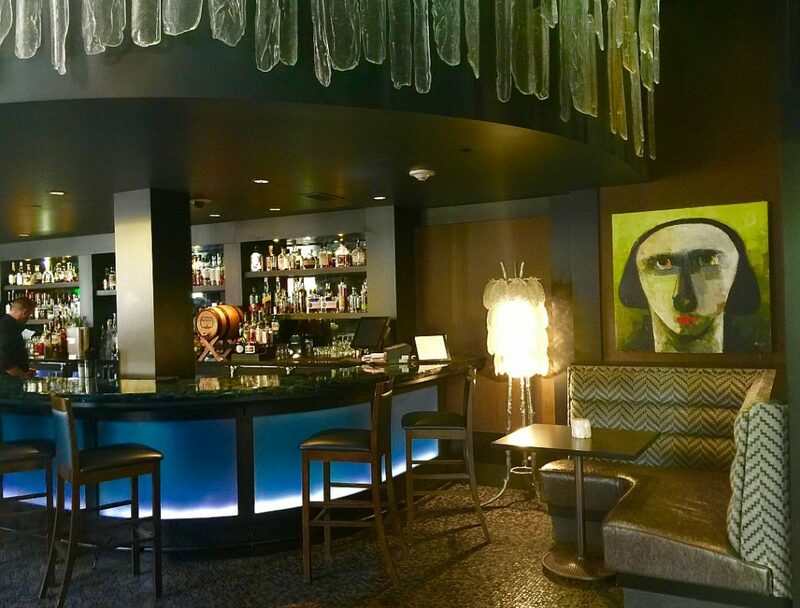 Hotel bar Frost has their own Mint Garden and makes killer Mojitos. Great food and service at Leonora, and willingness to accommodate any dietary need. 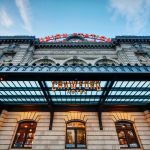 Generous with amenities like complimentary snacks and delicious local coffee. 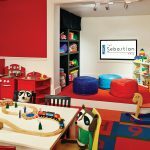 Find out more about The Sebastian – Vail HERE. Image 1, 16 and last 4 in gallery courtesy of The Sebastian – Vail.